GOSSELIN, CLÉMENT, carpenter and army officer; b. 12 June 1747 in Sainte-Famille, Île d’Orléans (Que. ), son of Gabriel Gosselin and Geneviève Crépeaux; m. first 22 Jan. 1770 Marie Dionne in Sainte-Anne-de-la-Pocatière (La Pocatière), Que. ; m. secondly 15 Jan. 1787 Charlotte Ouimet in Longueuil, Que. ; m. thirdly 8 Nov. 1790 Catherine Monty, probably in Champlain, N.Y.; d. 9 March 1816 in Beekmantown, N.Y.
Clément Gosselin, the youngest of a large family, left Île d’Orléans probably at the age of about 20, and settled at Sainte-Anne-de-la-Pocatière, where he owned some land at the time of his first marriage in January 1770. When American troops invaded Quebec five years later, Gosselin supported the revolutionary cause. It is likely that he was one of about 200 Canadians who took part in the attack – disastrous for the Americans – that was launched against the town of Quebec by Richard Montgomery* on the night of 30–31 Dec. 1775. The defeat made the invaders’ military situation precarious and also effectively checked the current of sympathy towards them that had developed amongst some part of the Canadian population. But Gosselin was not shaken in his convictions. From January to May 1776 he travelled throughout the various parishes on the south shore of the St Lawrence from Pointe-Lévy (Lauzon and Lévis) to Sainte-Anne-de-la-Pocatière, recruiting volunteers for the Congressional troops. In this task he was aided by his father-in-law, Germain Dionne, who furnished clothing and supplies to the new recruits. 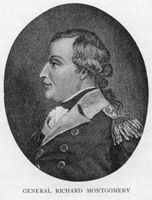 Gosselin also called and presided over parish meetings for the election of militia officers, to whom he delivered Congressional commissions. Moreover, from the steps of the churches he read the orders and proclamations issued by the Americans, and he sometimes even forced the king’s officers themselves to read them. Together with Pierre Ayotte, a habitant from Kamouraska who was equally devoted to the revolutionary cause, Gosselin organized a system of bonfires, under close guard, to warn the Americans of any approaching British ships. On 4 March 1776 Gosselin became a captain in the regiment commanded by Moses Hazen, and on 25 March he took part in the attack on the advance guard of the force that had been mustered by Louis Liénard de Beaujeu de Villemonde at Saint-Pierre-de-la-Rivière-du-Sud. On 3 May, three days before the Congressional troops lifted the siege of Quebec, Gosselin presided at a meeting in the parish of Saint-Vallier. No trace has been found of his activity during the next 15 months. Instead of following his regiment in the American retreat to New England, he seems to have chosen to go underground and probably hid in the region of Sainte-Anne-de-la-Pocatière. In August 1777 he managed to sell his land to Jean-Marie Chouinard, but some months later he was arrested and imprisoned at Quebec. 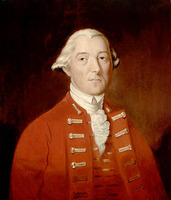 In the spring of 1778 Gosselin was freed, and along with his father-in-law and his brother Louis he rejoined his regiment at White Plains, near New York. In the mean time the idea of invading the province of Quebec was regaining favour in the American colonies, particularly after the treaty of alliance with France was concluded on 6 Feb. 1778. With this possibility in mind the men in Hazen’s regiment opened a road from Newbury (Vt) to the Quebec border. Some Canadians were also entrusted with spying missions. 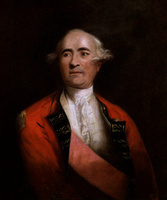 Thus from the summer of 1778 until the summer of 1780 Gosselin returned secretly to the colony a number of times, spreading the rumour that an invasion by the Congressional armies was imminent and that this time they would be accompanied by French regiments. Naturally this talk created serious anxieties for Governor Haldimand, who feared that the Canadians would defect if French troops returned. But in the autumn of 1780 Congress finally abandoned all plans for invasion. Gosselin was wounded on 4 Oct. 1781 in Virginia at the battle of Yorktown, which was to bring the American Revolutionary War to an end. In June 1783, after the conclusion of the Treaty of Versailles, he was promoted major and discharged. The next year New York State gave lands on the shores of Lake Champlain to the Canadian veterans who had served in the Congressional troops. Gosselin received 1,000 acres but parted with them soon after, probably preferring to return to his carpenter’s trade, the occupation he had followed before the American invasion of the province. He lived at Champlain until early in 1791 and then moved to the Saint-Hyacinthe region in Lower Canada. Around 1800 he stayed briefly at Sainte-Marguerite-de-Blairfindie (L’Acadie), and then in 1803 settled at Saint-Luc, where he lived until early in 1815. Historian Gustave Lanctot* passes severe judgement upon Canadians like Clément Gosselin who took up the cause of the American revolution. He calls them “restless and ambitious individuals” who “saw in the invasion an opportunity . . . for profit and adventure.” They were “only a fraction of the population, although a hostile, aggressive, and often unscrupulous one.” Such an interpretation scarcely stands up to an analysis of the facts. Rather it seems to be an offshoot of a current of Canadian nationalist thought that was born with the conquest and that has constantly sought to highlight the loyalty of the French-Canadians to the British crown, probably through a desire to see resolved the tensions and frictions which have arisen between two socio-cultural groups inhabiting the same territory for more than two centuries. Arch. du collège de Sainte-Anne-de-la-Pocatière (La Pocatière, Qué. ), CAC 1038, nos.726.3, 726.5. BL, Add. mss 21844: 387–91. “Journal par Baby, Taschereau et Williams” (Fauteux), ANQ Rapport, 1927–28: 435–99; 1929–30: 138–40. Caron, “Inv. de la corr. de Mgr Plessis,” ANQ Rapport, 1927–28: 215–316. DAB. J. E. Hare, “Le comportement de la paysannerie rurale et urbaine de la région de Québec pendant l’occupation américaine 1775–1776; note de recherche,” Mélanges d’histoire du Canada français offerts au professeur Marcel Trudel (Ottawa, 1978), 145–50. Lanctot, Le Canada et la Révolution américaine. Robert Rumilly, Histoire des Franco-Américains (Montréal, 1958). N.-E. Dionne, “L’invasion de 1775–76,” BRH, 6 (1900): 132–33. Edmond Mallet, “Les Canadiens-français et la guerre de l’Indépendance américaine,” BRH, 3 (1897): 156–57; “Le commandant Gosselin;” BRH, 4 (1898): 6–10. E.-L. Monty, “Études généalogiques: le major Clément Gosselin,” SGCF Mémoires, 3 (1948): 18–38. T. Saint-Pierre, “Les Canadiens et la guerre de l’Indépendance,” BRH, 6 (1900): 209–13. Pierre Dufour and Gérard Goyer, “GOSSELIN, CLÉMENT,” in Dictionary of Canadian Biography, vol. 5, University of Toronto/Université Laval, 2003–, accessed April 22, 2019, http://www.biographi.ca/en/bio/gosselin_clement_5E.html.